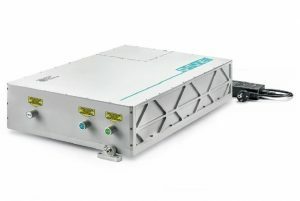 Tunable DPSS lasers use an Optical Parametric Oscillator (OPO) to produce tunable wavelengths in 410 – 2300 nm range. This laser offers ns pulse widths and a variable repetition rate up to 100 Hz pulse with up to 5 mJ pulse energy in the visible range < 6 cm-¹ line width. This tunable laser is the perfect coherent light source for temporally resolved spectroscopy, metrology, photoacoustic imaging, and remote sensing.